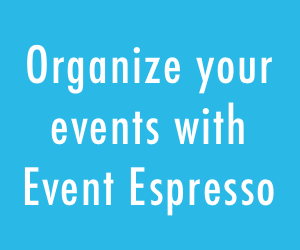 Did you know we released some exciting improvements for Event Espresso this summer? It’s now possible for your audience to purchase multiple tickets from multiple events in one checkout, you can offer promotions and discount codes, you can list your approved attendees on a page, and much more! We think you will like what we’ve done. This is not an exhaustive list of enhancements, bug fixes, and security updates. For that information, please see our changelog. Yes! It’s here, the long-awaited Multiple Event Registration add-on for EE4! Now you can create a shopping cart experience and allow your attendees to add multiple events to a cart for checkout. With MER we introduced the ability to add events to a cart. In Event Espresso 4.7.7.p we added an enhancement to allow removal of multiple events from the cart simultaneously. This can be accomplished by setting the quantity to 0. For more information, see the MER documentation here. 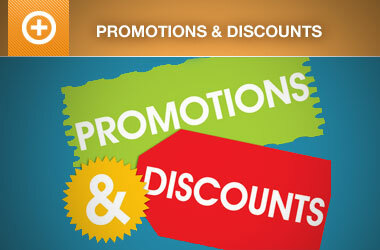 More on the new Promotions and Discounts add-on for EE4 here. More on the Event Espresso 4 REST API Add-on here. The Event Espresso 4.6.31.p update brought Attendee List shortcodes. Attendee lists can be helpful in a variety of ways, whether you want to create a password protected page to allow certain users to view the attendee list, or if you want to build social credibility by showing your potential attendees who has already registered for the event. With the new [ESPRESSO_EVENT_ATTENDEES] shortcode, you can display lists of approved attendees for your events. There are several parameters that can be used to display different kinds of lists, like lists for a specific event, datetimes, tickets, and even certain registration statuses. With no parameters set, the default shortcode shows the attendees for the earliest active event or if there is no active event, then the earliest upcoming event is shown. If it is used in the event description area (via your event editor), then it will show the attendees for that specific event. In version 4.7.3.p, we added the ability to change the event slug for the Events custom post type. Previously, the slug defaulted to /events/. You can now change the slug in Event Espresso > Events on the Templates tab. In version 2.0.1 of the WP User Integration add-on, we added the [ESPRESSO_MY_EVENTS] shortcode to display list of registrations for user on a front end WordPress page. Click the image below to see it in action. 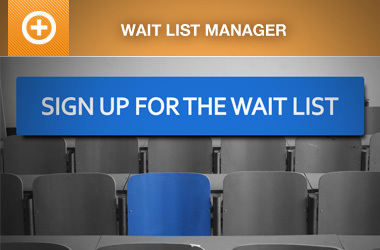 Read more about the “Your Registrations” page here. 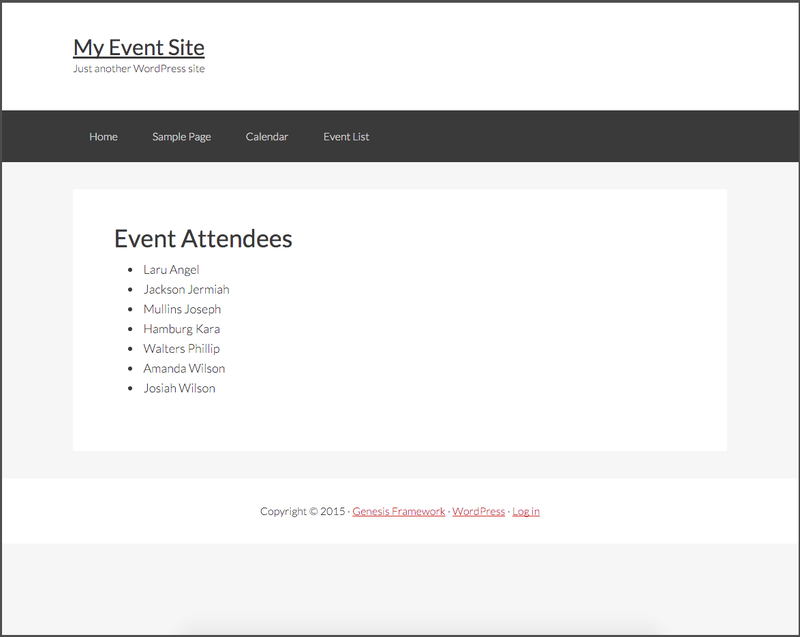 We added mobile styles to the event check-ins and other EE admin list tables (WordPress 4.3+ only). We also moved attendee the list table search field closer to the top of the mobile view for easier access. We made creating or modifying message templates easier by adding a message shortcode picker which displays the shortcodes that are available for each field. So, what do you think about these improvements? Have you used any of these new features? If so, what do you think? That’s great, but we still had to move off the platform as you still don’t offer seatings charts for EE4. Competitors like seatyourself.biz and ticketleap promote that as a big salespoint rightfully so. Let me know when you decide to reimplement that so I can start using your platform again. Can you tell me how to adjust the STYLES on Event Check-In Now More Mobile Responsive (WP 4.3+)? This looks WAY cleaner than the current clunky UI we’ve been seeing. Hi Jason. Yes. You should see the differences if you are on EE core version 4.8.8.p or newer. Hi Cesar. While these are interesting ideas, we don’t have an import from Facebook or “smart queues” features at this time. its nice to see that, Multiple Event Registration add-on for EE4. Thanks for great thinks. also thanks for great news.